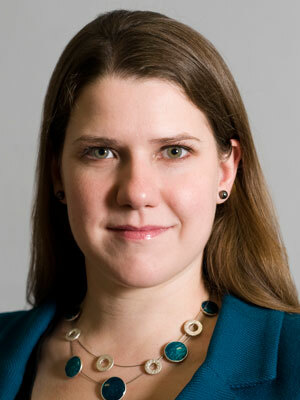 In September 2012, Jo Swinson became Minister for Employment Relations and Consumer Affairs in the Department for Business, Innovation and Skills and Women and Equalities Minister. She was elected as the Liberal Democrat MP for East Dunbartonshire in 2005. Jo was brought up in East Dunbartonshire, where she attended Douglas Academy in Milngavie, before going on to study Management at the London School of Economics. With almost a million women-led SMEs in the UK currently, there are a huge range of sectors where female entrepreneurs are making their mark at the top. However, figures suggest that it’s the sectors that are traditionally perceived as more ‘female’ (such as health and social work, education and food services) where the majority of women business owners and leaders are still to be found, compared to just a small minority in industries such as manufacturing and agriculture. As part of the Business is GREAT Britain campaign, the government is hoping to shine a light on some of the business women in the UK who have found success in traditionally male-dominated sectors, in order to encourage others to pursue their business ambitions. By demonstrating what can be achieved by women such as those outlined below, the campaign aims to help female entrepreneurs set up or develop their own businesses in a diverse range of industries, ensuring that the skills and talents of women in the UK are fully utilised. There are more women in work than ever before, so it is right that we see them able to fulfil their potential and thrive in whatever career they choose. I want more girls to study science, engineering and maths to ensure that no career path is closed off to them. These fantastic, successful women provide inspirational role models to millions of others. Here are just a few examples of UK business women who have received help from the government on their path to success within male dominated industries who will be providing their own help and advice over the coming issues to anyone who may also wish to break the mould and enter into similar businesses. Catherine oversees the design and manufacturing of custom-made neon signs and lights at her family run, Bolton-based company, Neon Creations. The signs are used as branding, art, gifts, interior design and in entertainment. Catherine has designed lights for clients including Paul’s Boutique, Sony BMG, the BBC, Calvin Klein, Urban Outfitters, River Island, and American Apparel, and her role combines both design and marketing skills. Neon Creation products are distributed throughout the UK and the business has received Innovation funding from the government. Anne is the Managing Director of Sheffield-based Numill, a company that designs, manufactures and reclaims tools, which are sold throughout the UK and across Europe and Scandinavia. Working her way up from bookkeeper at the company in 2000, Anne now works with clients that span all sizes of business, from small engineering firms to high profile, blue chip companies, particularly those from automotive and aerospace sectors. Since taking over as MD of the company, Anne has helped grow the export side of the company with funding and support from UKTI. Julie is the Chairman and Chief Executive of Rotherham-based Pyronix, one of the world’s leading providers of security products with two state-of-the-art manufacturing sites in the UK. She started out as a secretary for a law firm and in her spare time trained to become a lawyer and built up Pyronix, using £28,500 equity from the sale of her home. She went on to give up her job at the law firm in 1986 to work full-time for Pyronix. Julie was voted Business Woman of the Year at the Private Business Awards in 2014. 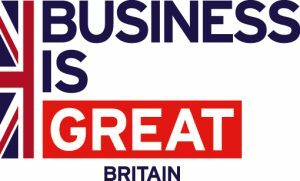 The Business is GREAT: Women in Enterprise webpage covers topics from finance to childcare and mentoring to networking, sets out the government’s advice and resources alongside the organisations offering their support.